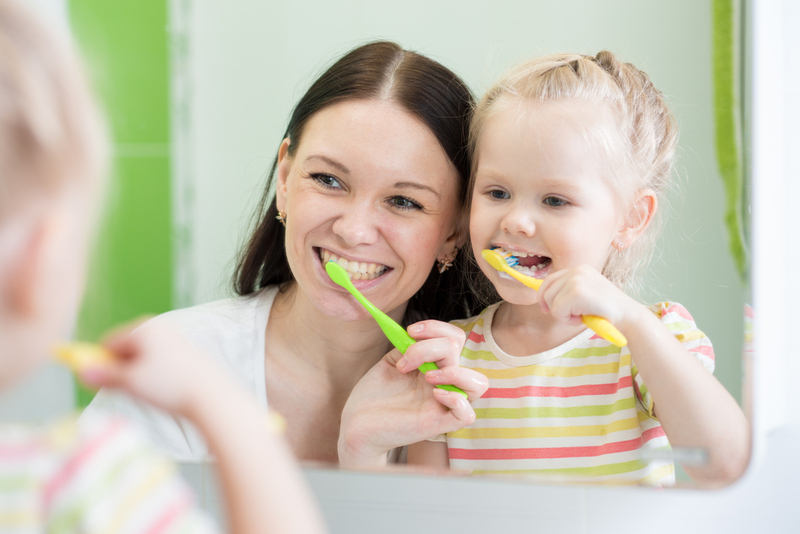 A dental insurance plan can help you prevent cavities in your child. Baby teeth are just as important as the adult variety. If a primary tooth is lost too early, it could be the cause of crookedness or crowding. Therefore, starting infants off with proper oral care may help them avoid problems later in life. As soon as those pearly whites first appear—typically around 6 months old— they are susceptible to decay. In infants, this usually occurs in the upper front row, but other areas may be affected as well. In some cases, the decay is so advanced that some must be extracted. This unfortunate condition is preventable. Decay begins with the bacteria that cause cavities being passed from the mother, who has the bacteria in her mouth, to the baby. This could occur when the mother puts a spoon or pacifier in her mouth before giving it to the infant. Prolonged exposure of the teeth to sugary liquids might also contribute. An insufficient amount of fluoride may also increase the risk. An individual insurance plan could help your family maintain healthy mouths. Insurance can reduce the cost of checkups and cleanings at the dentist office. Insurance can also make restorative treatments like fillings and extractions more affordable. Fortunately, this oral problem is easily preventable. Here's a list of simple steps to take to aid in eliminating the risk of tooth decay in your little one. Maintain your own oral health, and don't share saliva with your infant. Clean your baby's mouth after every feeding by wiping the gums with a clean, damp, gauze pad. When the teeth begin to break through, brush them gently with a toothbrush and water. Begin using a pea-sized amount of toothpaste on the brush when you can trust your child to not swallow the paste (usually not before age 2). Brush their teeth for them until they are at least age six. Only use bottles for formula or milk. Avoid sugary drinks. Infants should finish bottles before going to bed. Use a clean pacifier that is not dipped in sugar or honey. Encourage children to begin drinking from a cup by age 1. It’s never too early to start fighting decay. With a dental insurance plan, you can start preventing future oral problems in your child at any age.